The Queen's University Alternative Assets Fund (QUAAF) is Canada’s first student directed portfolio of hedge funds managing a portion of the university’s endowed funds. The Queen's University Alternative Assets Fund (QUAAF) is Canada’s first student directed portfolio of hedge funds managing a portion of the university’s endowment funds. Queen’s University Alternative Asset Fund (“QUAAF”) is currently Canada's only student-run alternative asset investment fund. 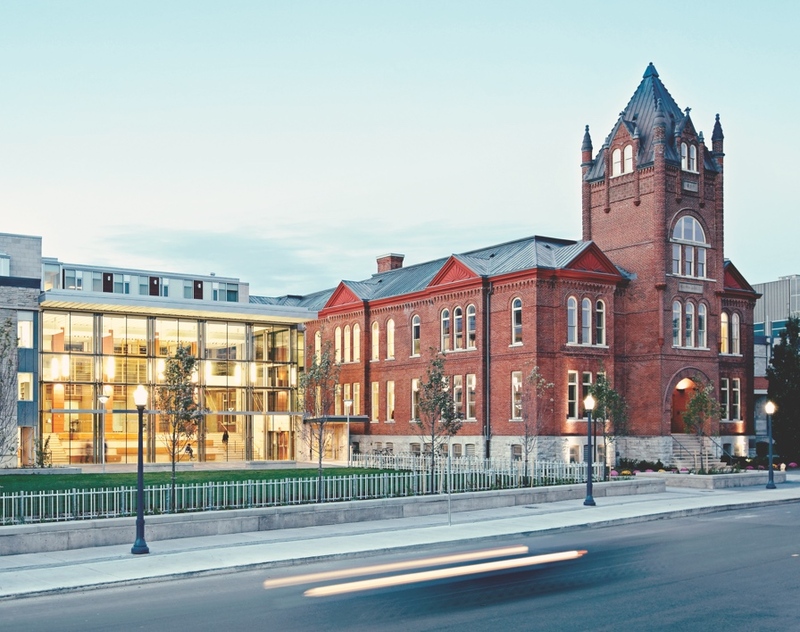 Managed exclusively by Queen’s students and overseen by facility and industry professionals, the QUAAF portfolio holds both public and private alternative asset strategies. The QUAAF management team is composed of students currently enrolled in the Queen’s Smith School of Business Masters of Business Administration (“MBA”) program and Master of Finance (“MFIN”) program. QUAAF’s investment mandate focuses on providing long-term capital appreciation while preserving the current assets under management for future student participation. QUAAF has a global mandate with regional concentrations in Canada, the United States, and Asia. QUAAF is designed to provide students with “hands-on” experience focused on providing exposure to the investment industry, alternative strategies, and portfolio management. Through the engagement of alumni, current members, and industry professionals QUAAF has established itself as an invaluable educational opportunity for Queen’s students. Meet our executive, portfolio managers, analysts, alumni, advisory board and board of directors. Find out how we are structured and the kind of investment opportunities we are looking for. Learn about the different ways you could contribute to QUAAF - share expertise, spend time or invest funds. During the fall of 2011, eight full-time MBA students pooled $6000 of their own capital in hopes of persuading Smith School of Business to create Canada’s first student-run hedge fund. After the group of students demonstrated their financial acumen through solid returns on their investment, Smith leant its support and QUAAF was created in January of 2012. The group quickly recruited several other MBA students, built teams of research analysts and formed alliances with influential leaders in the financial industry. The team dove into its study of Canadian Hedge Funds and made its initial investments before handing the reigns over to the next year’s class. The 2011-2012 team consisted of both MBA and Master of Finance (MFin) students. QUAAF has made significant strides in developing the methodology by which it constructs its portfolio, and provides superior risk-adjusted returns that exhibit low correlation with the market indices. Each generation of QUAAF members is responsible for ensuring sustainable operations and financial stewardship of the fund. QUAAF remains true to its core values and objectives which include education, fund performance, professionalism, and integrity. "The underlying principles of sound investment should not alter from decade to decade, but the application of these principles must be adapted to significant changes in the financial mechanisms and climate." For Inquiries, contact our Executive Team. The information on this web site, which includes all downloadable material, is for education and non-commercial use only and is not intended to constitute specific legal, accounting, financial or tax advice for any individual. In no event will QUAAF, its members or directors, or Queen’s University be liable to you or anyone else for any loss or damages whatsoever (including direct, indirect, special, incidental, consequential, exemplary or punitive damages) resulting from the use of this web site, or reliance on the information or content found within this web site. The information may not be reproduced or republished in any part without the prior written consent of QUAAF and Queen’s University. QUAAF is not in the business of advising or holding themselves out as being in the business of advising. Many factors may affect the applicability of any statement or comment that appear in our documents to an individual’s particular circumstances. There are web sites linked to and from this site that are operated or created by or for individuals, organizations, and commercial enterprises outside of the Queen’s University Alternative Assets Fund. Those individuals, organizations, and commercial enterprises are solely responsible for the operation and information (including the right to display such information) found on their respective web sites. The linking to or from this site does not imply on the part of the Queen’s University Alternative Assets Fund any endorsement or guarantee of any of the individuals, organizations, or commercial enterprises, or information (including the right to display such information) found on their respective web sites. The Queen’s University Alternative Assets Fund does not assume and is not responsible for any liability whatsoever for the linking of any of these linked web sites, the operation or content (including the right to display such information) of any of the linked web sites, nor for any of the information, interpretation, comments, or opinions expressed in any of the linked web sites. Any comments or inquiries regarding the linked web sites are to be directed to the particular individuals, organizations, or commercial enterprises for whom the particular web site is being operated. Your continued use of this web site means that you agree with all of the conditions in this disclaimer. If you do not agree with these conditions you must leave this web site now.